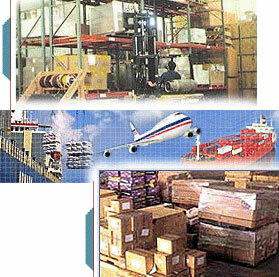 Ace Commercial Company Private Limited incorporated in 1991 has been providing services to customers across the globe. As a service organization, we rely on our professionalism to serve both large and small shippers. Company officials emphasize efficiency, adaptation, innovation, sense of community, and high commitment to quality service among their objectives for continued excellence. We also believe in partnering with our customers over the long term through our flexible business and delivery model. Our key strength lies in our people with each one focusing on adding value to our customers business. Since its inception the company has had a steady rate of growth and has created a substantial amount of market share at Paradeep Port in all the three services it provides namely Stevedoring, Steamer Agent and as Transporter. To strengthen its stevedoring activity and have a competitive edge , Ace Commercial Company Private Limited has started procuring it own material handling equipments. Over the past several years the company has dealt with several reputed clients as principals, both domestic as well as multinationals ship Liners. Since it inception the company has provided services to various clients as Stevedores, Steamer Agents and as Transporters. These clients include Tata Iron &Steel Company Limited, Orissa Mining Corporation, Visa Industries Limited, Paradeep Carbon Limited, Kalinga Iron Works, Sesa Goa Limited etc. Throughout Ace Commercial company’s longevity our commitment to quality and customer service remains unsurpassed. Continuous improvement is the key aspect to satisfy our customers’ requirements. We do so by working closely with new and existing customers to ensure that all specific needs are fulfilled in a timely, reliable, and safe manner. From the moment you make contact with us , we strive to meet your requirements and satisfaction. Contact us and let us show you what we can do for you. "We the employees of ACE Commercial Co. (P) Ltd. commit to understand our customer expectations and to meet or exceed those expectations by continuously improving quality, service and safety."